Friends ask me what's good to eat around my neighbourhood but honestly I don't really know because I don't eat out much in the area. As I eat out a lot for work, I'd rather just have a simple meal (ie bland) at home. But this past weekend a good friend from Beijing stayed overnight and wanted to take me out for breakfast before she made the trek back to Shenzhen airport by 2pm. That meant eating the first meal of the day at around 9.30am. We headed to Catch on Catchick, which is open for breakfast at 9am and when we got there, a few people were already eating. We took the table by the sidewalk so we could do some people watching while we ate. It's a good thing we shared because the dirty eggs dish was a lot for one person. 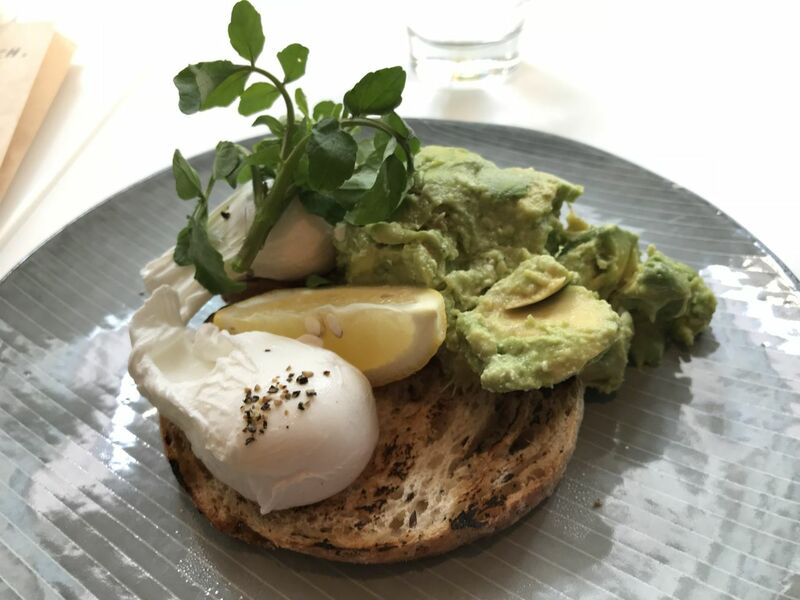 The avocado on toast with two poached eggs was a very healthy option, and we liked the crusty bread that was used to mop up the runny egg yolk. 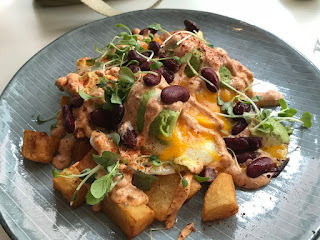 Dirty eggs was a spicy option -- a bit more spicier than I expected -- and much heartier. Everything went well together, from the melted Cheddar cheese and avocado with fried potato chunks and more runny eggs. After polishing off these two dishes, we were very full! Price-wise these breakfast dishes are a bit more on the expensive side, but they kept us fueled for most of the day.